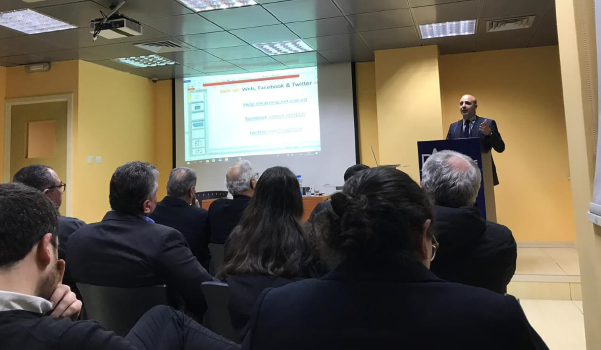 Nicolas Tsardellis, partner and head of our Nicosia litigation department was one of the speakers at a recent seminar on Human Rights organised by the Larnaca and Famagusta Bar Associations. Nicolas, a certified tutor of the Human Rights Education for Legal Professionals (HELP) of the Council of Europe, presented to the participants the methodology and the tools available in the e-learning platform of HELP, for the training and education on human rights of judges, lawyers, academics, prosecutors and police officers. Distance-learning courses on Human Rights are available for selected groups of legal professionals participating in pilot courses moderated by certified national tutors. Self-learning resources are available to any user who has an account on the e-learning platform. For further information on this matter, please contact Nicolas Tsardellis or your usual contact at Elias Neocleous & Co LLC.